Steve believes in providing the kind of service that he would expect to receive from others. Steve's own experience from purchasing homes in the past and enduring sub-par home inspections began his path in this career. Steve was always raised with the belief that if you are going to do something, do it right the first time and to the best of your ability. Steve has lived with that standard throughout his life and endeavors to put himself in his client's shoes. What distinguishes Steve from others in his field of expertise is that he speaks in layman's terms so that you as the buyer can understand clearly what he has found during your home inspection. Having been married to a professional Realtor for 30 years also gives him the unique insight into the importance of clear, concise reports with quality pictures and understanding the time sensitivity of negotiating repairs. Steve promises to deliver your detailed report within 24 hours of the inspection. Most of Steve's business is derived from referral and repeat clients. He feels this is due to the fact that he provides honest and thorough reports, good communication, punctuality and a friendly demeanor. In his spare time, Steve enjoys scuba diving, boating, gardening and spending time with his family. 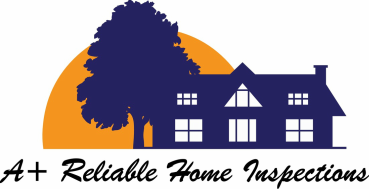 If you are looking for an honest inspector at an affordable price, call or text Steve today at 865-306-2332... You will be glad you did!